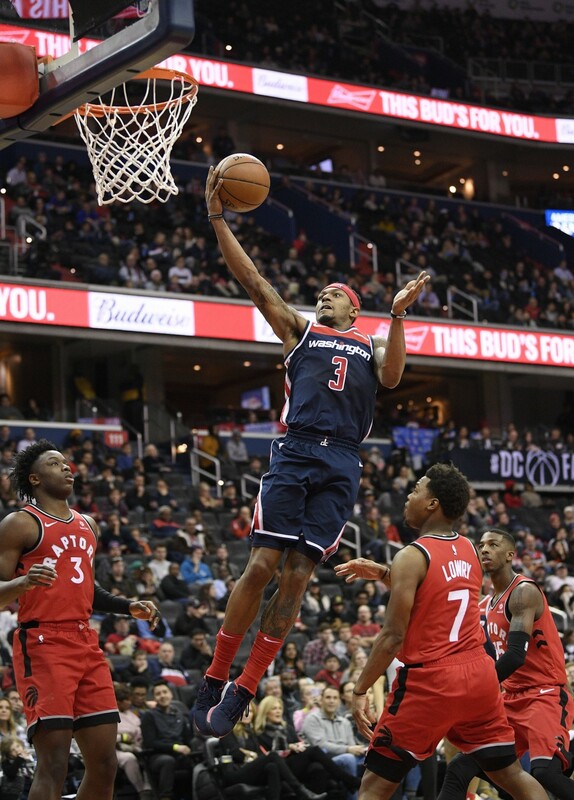 WASHINGTON (AP) — Serge Ibaka hit a 3-pointer with 15 seconds left in the second overtime, and the Toronto Raptors survived to earn their fifth straight win, 140-138 over the Washington Wizards on Sunday. 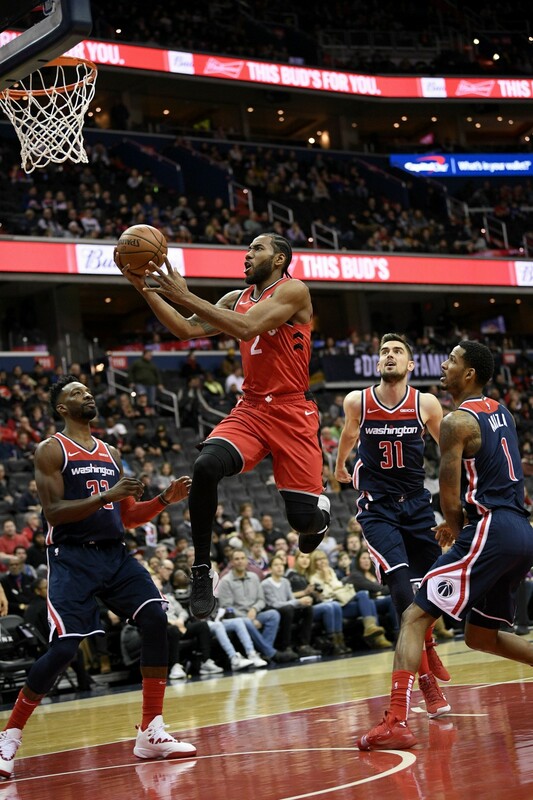 The Raptors blew a 23-point lead but outlasted the stubborn Wizards, who never led until early in the second extra period. Toronto, which was led by Kawhi Leonard's 41 points and 11 rebounds, led 51-28 with four minutes to play in the second quarter and 96-79 with 57 seconds to play in the third. 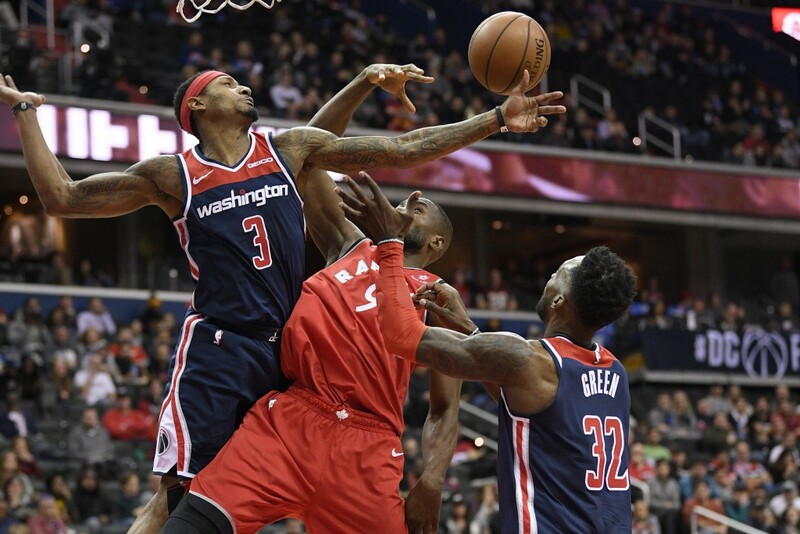 Bradley Beal had his second triple-double of the season, collecting season highs of 43 points and 15 rebounds along with 10 assists. His 3-pointer with 20.4 seconds left in regulation tied it at 124 to force overtime. His jumper with 6.8 seconds to play in the first overtime tied it at 131. Leonard had 13 straight points in the fourth quarter and overtime. 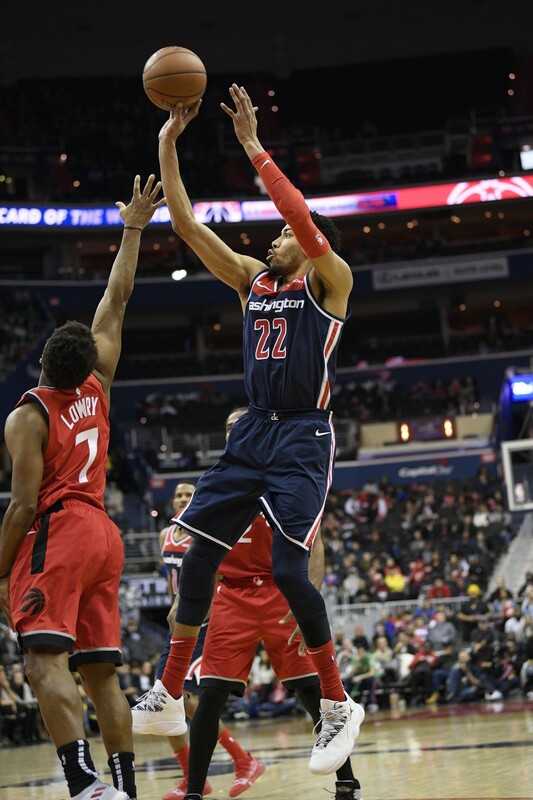 Toronto missed seven of nine from the field in the second OT and didn't score for nearly 3½ minutes, but Washington could only push ahead by three points during that stretch. 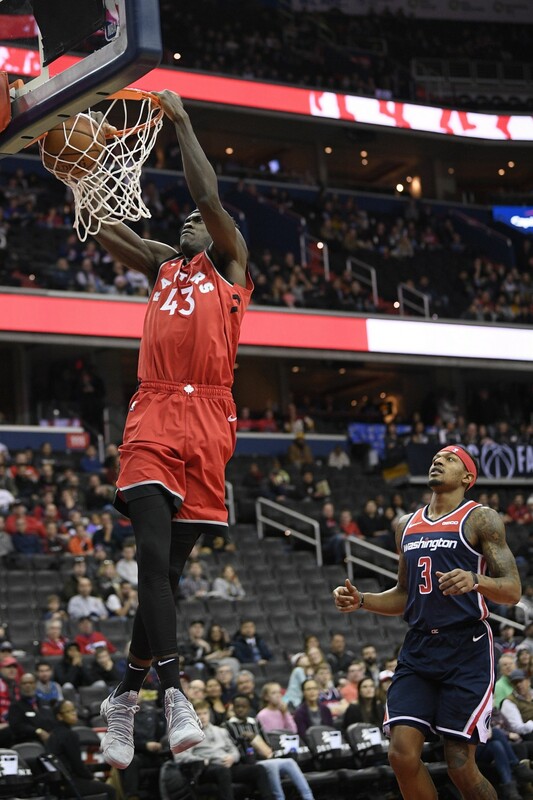 Pascal Siakim scored 24 and had a career-high 19 rebounds for the Raptors. Otto Porter, who had 27 points, missed a 3-pointer with 6 seconds to play in the second OT. Trevor Ariza narrowly missed his second career triple-double. He had 23 points, 10 assists and nine rebounds before fouling out with 44.7 seconds left. 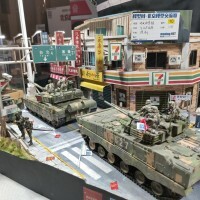 Raptors: F/G C.J. Miles was out with a sore right hip. "Miles has been struggling," coach Nick Nurse said. "We tried to give him a go the other night. He still wasn't quite right. We're going to try and see if we can get him a little more squared away with what's wrong with him. ... G Fred VanVleet did not play because of a bruised left thigh. "Freddy took a big shot the other night late in the game," Nurse said. Wizards: Washington was scheduled to depart for London after the game, where it will face the New York Knicks on Thursday. "We want to enjoy it," coach Scott Brooks said. "We're not going to be there where you're just going to focus on basketball. We all have lives. 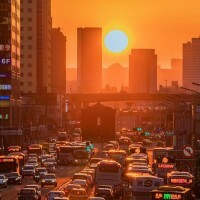 We all want to live a fun life." Raptors: Visit Boston on Wednesday. Wizards: Play New York at The O2 in London on Thursday.